This image is so impossibly flawless in every aspect that is hard to believe it is real. 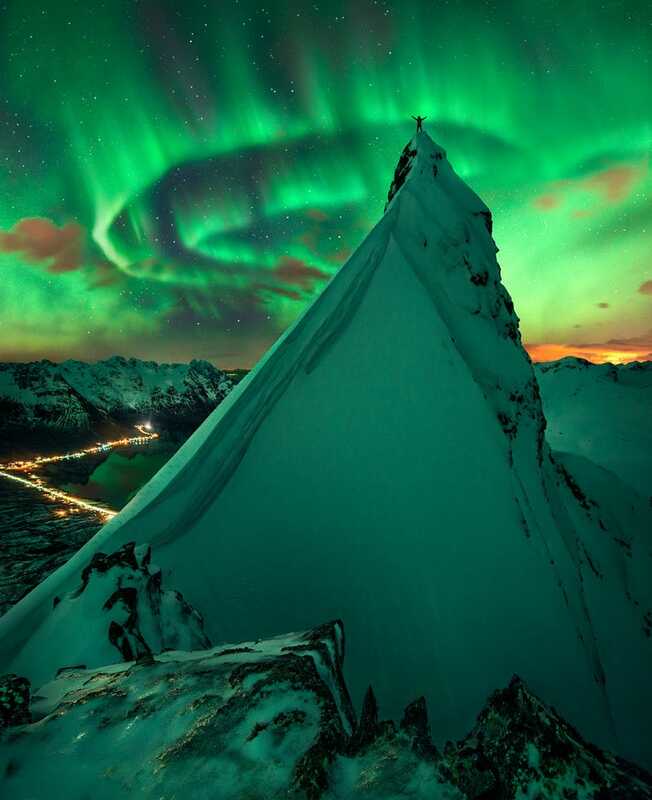 Technique, composition, subject matter—it's like a perfect dream, but it's an actual photo of Svolvaer, Norway, by extremely talented Max Rive. His other work is equally perfect and stunning to the point of disbelief. The light on the right is coming from the ''city'' of Svolvaer. The aurora is the result of three exposures taken directly after each other so I have been a bit creative on that part. "So many people live within unhappy circumstances and yet will not take the initiative to change their situation because they are conditioned to a life of security, conformity, and conservatism, all of which may appear to give one peace of mind, but in reality nothing is more damaging to the adventurous spirit within a man than a secure future. The very basic core of a man's living spirit is his passion for adventure. The joy of life comes from our encounters with new experiences and hence there is no greater joy than to have an endlessly changing horizon, for each day to have a new and different sun." You can follow him on 500px and Flickr.